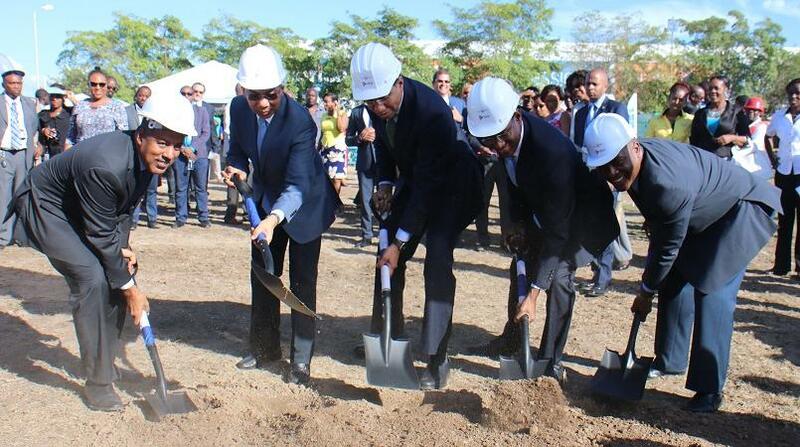 Prime Minister Andrew Holness on Thursday broke ground for the construction of a 157,000-square-foot facility, which is being constructed under a US$23 million project by the Port Authority of Jamaica. (PAJ). The new facility will allow for the sub-division of floors into smaller units to increase the options available to operators. It will also feature a mini campus to help support stakeholders in the industry. Construction is expected to be completed within a year. “It’s not just a building going up but the supporting services will be incorporated to ensure that it is a place where people feel comfortable to work and grow,” said PAJ Chairman, Nigel Clarke. PIP currently caters to Alorica, formerly West Corporation, a US based Company which is currently in an aggressive expansion mode and has nearly 1,000 employees. Further development of the park is part of a wider project that the PAJ has embarked on to support the Government of Jamaica’s vision to expand the outsourcing sector to realize a goal of 200,000 jobs within four years, the Prime Minister noted. “The community of Portmore accounts for approximately 14 per cent of the employed BPO agents in Jamaica and provides the greatest opportunity for growth of this sector,” Holness said. He noted that the BPO industry is the fastest way to create jobs. Jamaica’s BPO industry has experienced tremendous growth with over 40 companies operating in the sector in the past five years. Employment has moved from just around 12,000 persons in 2011 to about 17,000 at the end of 2014. Revenues from the industry grew from approximately US$230 Million in 2012 to US$400 million in 2015. The BPO space is projected to grow by over 50 per cent over the next three years and the PAJ is responding to those prospects and keeping pace of rising demand within the sector, Clarke said.